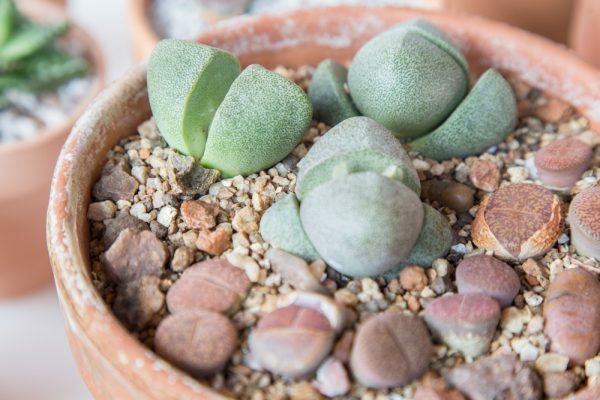 if you’re new in growing succulents, this little guy may be just a right start for you. 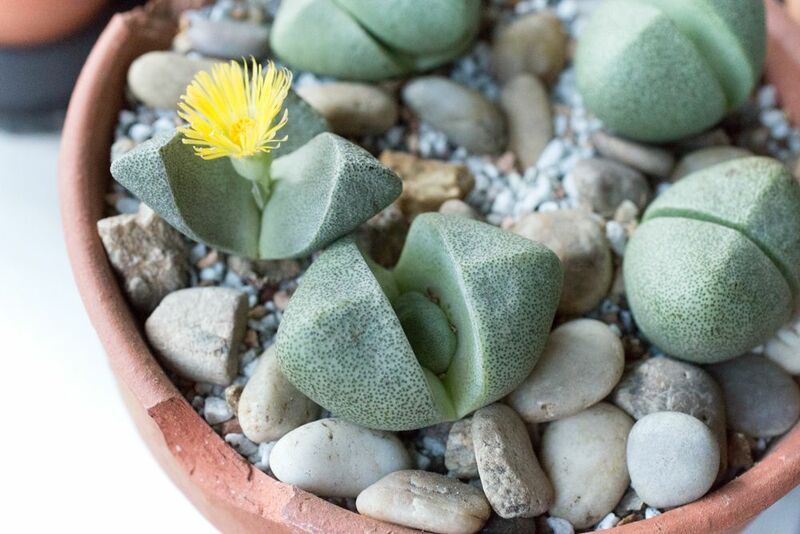 Pleiospilos nelii (Split Rock) comes from desert-like regions of South Africa. You can find it in shades of green and purple. This is a succulent that grows very well indoors, but you can also take it outdoors when the temperature rises. Split Rock is uniquely looking succulent. The plant is egg-shaped with two gray-green or purple leaves and a cleft down the center. New leaves will grow at right angles to the split. The plant grows up to 5″ (13 cm) tall and 4″ (10 cm) wide. Split Rock blooms in mid-afternoon and closes by dusk. This process will continue for a couple of days until flowers start to dry out if pollinated and make a seed pod. Flowers are orange or yellow and they smell like coconut in the winter. Split Rock is known for its mimicry. That means that the plant evolves to resemble its environment. In this case, Split Rock evolved to mimic stones, creating a camouflage to blend in with the soil. Split Rock also has specks on its leaves. These little “windows” help the sun get into the body of the plant and allow it to photosynthesize. Split Rock has specific water needs. More precisely, it doesn’t need as much water as most succulents. You should water your Split Rock only in spring and early fall when temperatures start to drop and days become shorter. Soil should be completely dry before next watering and you should soak it until water comes out through drain holes. In the hotter weeks of summer and coldest weeks of winter, you should hold back water. The first sign of overwatering is old leaves that are still present at the end of the summer. Split Rock don’t do well in cold temperatures. If you live in the area with low temperatures during the winter, you should take the pots with this succulent inside. Split Rock loves partly to full sun. If you grow it indoors, make sure that it gets enough light. You can place it in a south-facing window or add some grow lights if necessary. If you’re taking this succulent outdoors during warm months, just make sure that it’s protected from the rain. When it comes to the right soil, Split Rock is not a very big fan of organic materials. To provide the best soil, you should use some well-draining mix, ideally some sandy soil. Don’t fertilize unless it is during a growing time. If your Split Rock is healthy and happy, it will have one or two set of leaves. A new set of leaves will grow from the center each year and replace the old ones. You shouldn’t remove the old leaves because the new ones will use water from them until they’re dried out. After that, the plant will use them to fertilize itself. 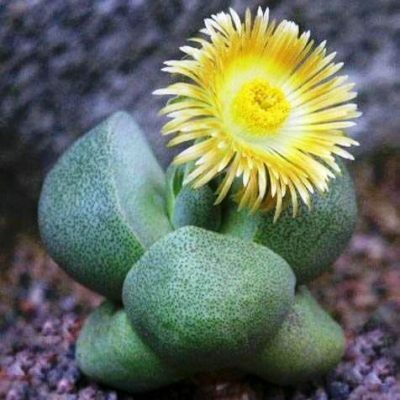 Split Rock can be propagated by seeds or by division. You can easily get seeds from the flower pod. Sow your seeds in the summer, in a warm place. 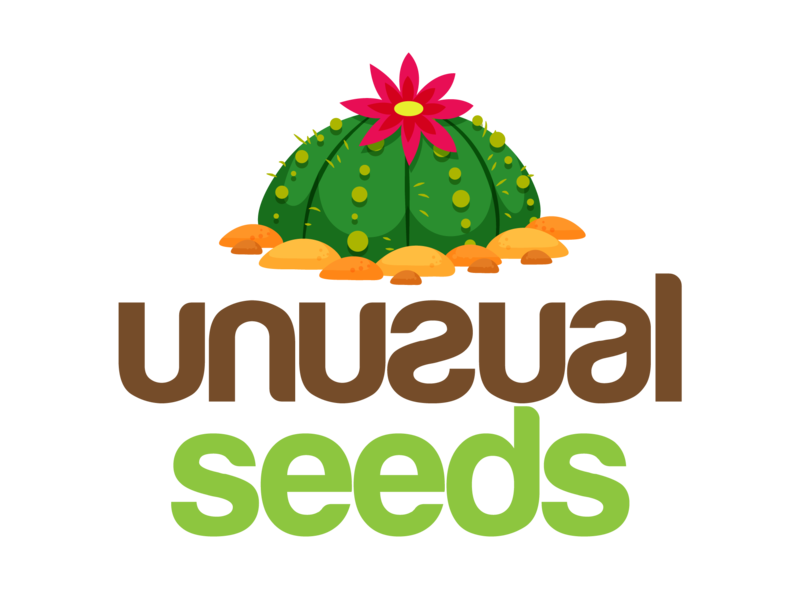 You can get the best results if you soak the seeds in water 24 hours before planting in a small layer of sandy soil. Just make sure that the soil is damp, but not too wet. If you want to propagate Split Rock by dividing the leaves, remove clumps in the spring before the plant start growing new leaves. Remove a leaf with the sterile, sharp knife and allow it to callus for a few days. Then you can plant it in well-draining sandy soil. Split Rock has a long tap root, so make sure you find a container deep enough for roots to have a space to grow.